For over 26 years, we have specialised in corporate and private training for every business sector. We have built a strong reputation as one of the Ireland’s leading providers of Train The Trainer courses. Our goal is to provide training that is both enjoyable and effective, equipping you with the skills you need to design, deliver and evaluate training of the highest standard. 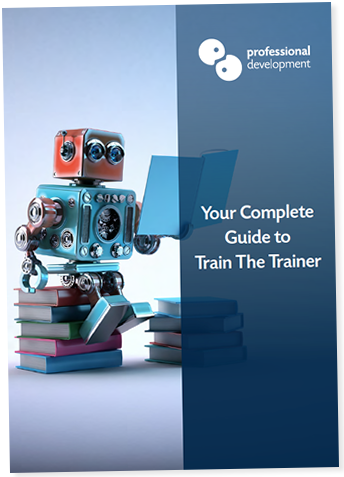 Our Train The Trainer courses are delivered by experienced training professionals. We choose to work with trainers who are as enthusiastic about our courses as we are, resulting in the best-possible learning experience for you. We are registered to offer training courses that lead to QQI Certifications on the National Framework of Qualifications (NFQ). Each of our Train The Trainer courses is certified at QQI Level 6. Awards that were formerly FETAC Level 6 – such as Train The Trainer – have been re-designed and are now QQI Level 6. In December 2014, the popular Train The Trainer FETAC Level 6 Course (Code: E30179) was deactivated and a new suite of certified Train the Trainer courses became available. We have improved and updated our Train The Trainer courses to ensure that the training we deliver remains in line with the standards of the National Framework of Qualifications.